Our Chief Operating Officer Andrew Kidd has been named one of the Top 30 Franchise Executives in Australia by Inside Franchise Business. 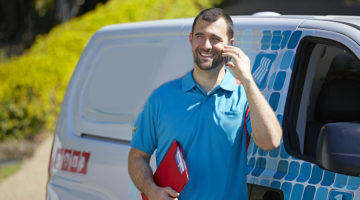 Mr Kidd said his experience as Poolwerx’s Business Development Manager and then Franchise Operations Manager gave him the skills that he still uses in his current role, to connect with franchisees ‘shoulder to shoulder’ and help them develop their business. Poolwerx has been recognised many times for their expertise and success, including awards from the Franchise Council of Australia for Field Manager of the Year, Franchisor of the Year and Multi-Unit Franchisee of the Year.